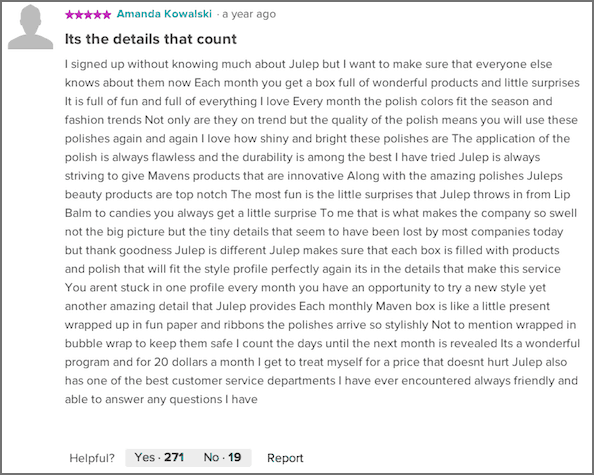 I have a friend who raves about Julep's Maven Beauty Boxes and she's been getting them for THREE years. She's excited that I finally just ordered my first one! 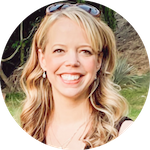 Julep's very popular monthly beauty box can be fully customized to fit your style, your likes and your favorites even more than they used to be. Plus, you'll get the entire box for FREE when you use Julep promo code FREEBOX. Shipping costs $2.99. A fully customized delivery of over $40 in nail polish and beauty products for $24.99 a month, or just $19.99 a month if you sign up for the 3 month option. 20% off and free shipping on other products at Julep.com. Not sure you want to be a Maven yet? Don't know your style? Take the Maven Style Quiz and then use the Julep.com code FREEBOX to get your first box free. You'll pay $2.99 for shipping, and you'll get the opportunity to receive a monthly beauty box. If you choose not to receive another shipment, be sure to cancel, pause or skip a shipment by the 24th of the next month. You can cancel at any time by simply contacting Julep Customer Service. Become a Maven and get $50 in beauty products for FREE + $2.99 for shipping!